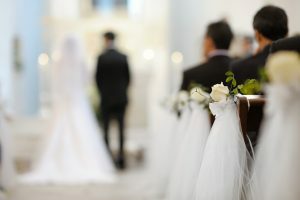 In the Catholic Church marriage is the “covenant” by which a man and a woman establish between themselves a partnership of the whole of life. By its nature it is ordered toward the good of both spouses and the procreation and education of offspring. This covenant between baptized persons has been raised by Christ to the dignity of a sacrament. Before setting a marriage date please contact the parish office at 231-627-2105 or email info@cprparishes.org to schedule a meeting with Father to begin the process of Marriage Preparation.